Forums New Player Tavern The first 2 weeks of my hearthstone experience.. The warlock deck you have is decent, just keep trying to get better at playing it, it should be able to take you to at least rank 15-10. Also swap in and out a few cards depending on what you're facing. sky3union gives some pretty good advice, warlock is that class where you are deliberately sacrificing your life to gain an advantage. 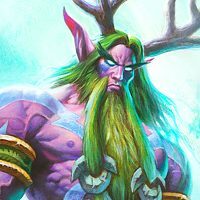 Warlocks live dangerously with their life total, discarding cards and destroying their own minions, and pull off wins when it seems like they are just dead. The hero power is quite powerful. So look to "fearlessly tap" as Trump says :). I was playing aggro hunter - which is still cheap. Depends on what you mean by "cheap". Will 30 dust do it? If not, then it's not cheap for me. I don't have anything else. What to do? Do I dust my Lich Jaina and Blood Reaver Gul'dan for it? Absolutely not. Don't dust legs. Just don't. I never dusted a card unless it was an extra, even crappy ones. You simply have to give it MORE time. 2 weeks doesn't cut it for playing Ranked. Just accept that. You got 2 powerful legs just starting out, while I got my first leg 6 months after playing. But what you lacking is patience. 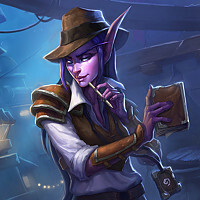 Keep doing dailies and Tavern Brawls and keep learning about tricky strategies. I did this week's tavern brawl, had to play a few games to win. Then I didn't even bother with it. I now have 3 quests stacked up, out of which two are for sure 2 hunter/something victories. I didn't even feel the drive to log in today, or yesterday. Yesterday I logged just to see what quest I got then I logged off. I'd log to do those quests but it's gonna be a row of losses while trying to do them and it would make me want to play even less. I guess I got burnt out really early? Moreover, most dailies require playing *and* winning against another person, and well, you know my situation. I can barely get one win every now and then and if it's two wins in a row it's already a miracle. It only ever happened once, I think. There are 41 quests. Of those, 6 require you to win; and one of those doesn't really count because you can play against the AI (win 7 games in any mode). That means only 12% of quests require you to win against another player. First, play all your quests in Casual. You'll be much happier if you approach quests from a get them done as fast as possible mentality. Quit trying to win your quest games, unless of course that is the goal of the quest. Build completely stupid decks for the quests. Even when you play stupid decks, you'll win some games. Especially the play X low cost minion quest, or things like the play X demons quests. Have a quest to play X minions with divine shield? Create a warlock deck with every neutral divine shield minion you have. Fill the rest of the deck with whatever you choose, taunt minions, a little healing, stuff to kill all minions, etc. You don't care. You just want to be able to play a divine shield minion every turn if possible. 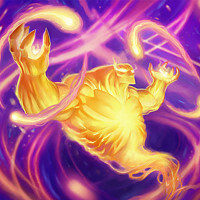 Use the hero power every time you can to get another minion in the hope it is a divine shield minion. Edit: Oh yeah, build every one of these basic decks. They are all good enough to complete quests with. When I first started I had between a 35-45% winrate with all of these. They are more than good enough. Your own observations hint that maybe it isn't the game for you if after 2 weeks you are losing patience! As a LONG time game I don't like games any idiot can master in 2 weeks. While there is factors that can frustrate a lot I actually liked that I have actually had to work to learn to be a better player and actually be patient and learn some skill to get better decks and a higher win rate rather than just have it gifted to me! I don't have much time to dedicate to really wrapping my head around decks etc and usually only get to rank 10 - 15 but I also like that. It means that some idiot with a lot of money but no skill can't just buy his way to winning (though money can speed things up if you have the skill and the desire). FYI Tavern Brawl is a great way to practice looking at cards and trying to think of / connect synergies - even though there is a certain element of luck with them often too! Thank you all for the comments/recommendations/hate, after rereading my initial post I realized that it was in part out of frustration and exasperation. I decided to take the plunge and spend some money, thinking that my gaming experience would be improved. After about 20$ I had 2 more legendaries (both of which are extremely situational), and a few epics, none of which belong to the two classes I have been focusing on. I know I am just ! @#$%ing and moaning, but this game seriously needs work if new players are going to have fun and keep playing. Why would anyone keep playing a game in which your opponents have access to objectively better equipment unless you spend what I can only imagine ends up being hundreds of dollars. 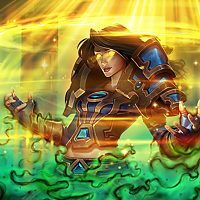 My hearthstone experience is done, I am not interested in a free-to-lose, pay-to-win game. I'm pretty sure you bought the wrong things there. After about 20$ I had 2 more legendaries (both of which are extremely situational), and a few epics, none of which belong to the two classes I have been focusing on. I know I am just ! @#$%ing and moaning, but this game seriously needs work if new players are going to have fun and keep playing. I am not interested in a free-to-lose, pay-to-win game. $20 for 2 legendaries doesn't seem too bad at all, in fact it would be above the average legendary drop rate. I guess the disappointment comes from you expecting to get the "good" legendaries, as opposed to being pleasantly surprised you were able to get 2 legendaries at all. I feel there's that overwhelming sense within a lot of the community that you have to get only meta cards and almost everything else is niche or trash, so therefore you can be frustrated that you're not getting anything useful. But here's this: Legendaries are not as GAME-WINNING as you may think. Blizzard wants you to think that they are so you feel like you have to spend more $$$ to increase win rate. I play against decks with better cards all the time and win against them. You will be able to do this with a deck that has a decent curve with at least 35-50% win rate, as long as your fundamentals with trading, board control are good enough. I.e. 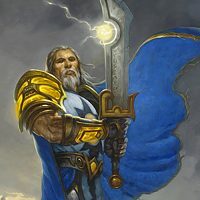 : if you are consistently losing, you are not losing because you don't have enough legendaries or the right legendaries/epics etc., it's not obvious but Hearthstone has the problem where you will feel like that is the case anyway. That being said though, there are a lot of good cards that I wish I had, that I would find useful. However most of them are actually common and rare, which are easier to obtain. Free to play my !@#. I feel like what's missing is more things in-game to help players learn to not make stupid or "newbie" mistakes. The tutorial touches on this only on a very basic level. After experience in a bunch of games you may learn to know how to play around cards such as Holy Nova, Flamestrike, for eg: but there's nothing in-game that helps you do this. Especially when a new card comes out such as Defile. Perhaps something like more scenarios that teach players not to overcommit minions so that a single board clear leaves them with nothing to play. Another scenario emphasising the nature of good trades and board control. Maybe a scenario where the AI has an OP deck with multiple legendaries and you are taught how to beat the player behind the deck. Right now this stuff comes externally from things like Trump Teachings, and additionally, these concepts are easier to see using Basic and Classic cards rather than now having to jump right into expansion cards as a new player. i.e. : Learning these concepts was much better and less punishing in a 2014 meta than the meta we have today. Correct me if this sounds weird, but the overwhelming feeling that you need "good cards" is overshadowing the difference playing cards well can make. 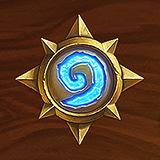 Hearthstone needs to reduce that feeling somewhat, for everyone, not just for new players. Thank you for the response. I understand it is a complex problem and there probably isn't an easy solution, but there is something particularly frustrating about losing to somebody not because they are better than you, but because they spent more money than you. It is like being penalized because you are skilled. I continue to advance until I reach a rank where every opponent has such a card advantage that no amount of skill or strategy can compensate. Then on top of that, it is so incredibly expensive to improve your card collection. Two packs of 4 commons and 1 rare costs $2.99? Since the chances of me actually getting cards I need is extremely low, that equates to 80 dust for 3$... not even enough for one rare. Sure, I can grind out daily quests, but who wants to play a game where you are at a huge disadvantage for so many months before finally getting a decent enough collection that allows you to start crafting synergistic decks? This game has a lot of potential but is way too expensive and way too stacked against new players. I imagine that most new players are going to lose most all of their games against seasoned veterans, buy some cards to try and improve only to realize that the $20 they spent bought them a ! @#$ty/situational legendary and some random rares, then finally come to the conclusion that this game requires a huge waste of money in order to be competitive and have a chance. Well now that I think about it, that is probably exactly what they intended. The game is designed to manipulate the psychology of addiction and get suckers to spend hundreds of dollars on pixels. gg design team. As a new player in the last few weeks, I noticed that I got paired with other new players until I purchased one pack that wasn't from the newest expansion (I got a single pack of Whispers of the Old Gods), and then I was immediately being paired with people with full sized collections. I really regretted opening that single pack of Whispers. This was before the release of Knights, and so I started getting paired against a lot of quest rogues in the casual queue. I then stopped being a new hearthstone player until a few weeks ago, because Quest rogue was completely oppressive when the best value cards in your deck are Chillwind Yetis. NEED to FOLLOW these LINKS!! That's interesting. I did notice very sudden jump in opponents quality from one day to the next a few weeks ago, but I didn't realize that there was any connection to buying old packs. "Congratulations! You have bought 1 old pack, prepare to be punished!" I haven't played that much casual since then. I don't think it's about opening certain packs but putting certain cards in your deck that might affect it (which seems to be what Mod meant, guesswork on my part). I didn't test it enough, thus lack data though. This is just early stage of speculation, nothing concrete. And yes, Casual only, not on ladder. Most games are not, You seem bored. You need some game to play with. Here. Play this., freebies throwed at you. 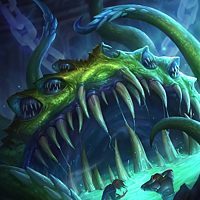 HS is different with most f2p games because it's a ccg where people start with a different tool. It makes you think you losing is a result from lack of tool/collection than your actual skill. Collection does matter in this game, but so does skill. Collection might not be the only reason you're losing. With patient and good resource management you will get better collection as time goes on. If you still think your skill is high enough, try Arena. Card choice is still random, but your collection matters less. The game is designed to manipulate the psychology of addiction and get suckers to spend hundreds of dollars on pixels. gg design team. While game is expensive - I fully agree on that- it is STILL fully Free to Play. I spent $5 total on noob bundle. Worked out just fine. If you want to know the statistics - LESS than 30% of players spent ANY money on the game at all, and less than 10% spend more than expansion pre-order. In other words 70% of players are fully F2P and some how avoided "spend hundreds of dollars on pixels" and doing fine as well. If you want t know the statistics - LESS than 30% of players spent ANY money on the game at all, and less than 10% spend more than expansion pre-order. 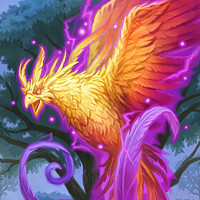 just get the wonderful wizbang you can play any of the premade decks that are shown when you start to make a deck of any champion. I recommend using the gold you get from quests to play arena if you want a great way to make dust and gold. It is almost entirely skill based. It helps to have hearth arena companion which tells you the average rating of cards, and general synergies with other cards you have selected. That's just an arena starter which should get a new player into the swing of arena, then when you get the hang of it, you'll be able to get a few wins out of it. Once you get more gold/dust than the 150 gold you spent to play an arena run, you've made a ton of profit, which costs no real life money. You also gain invaluable experience. Even if you lose all three games in a row, you make the gold back at a max cost of about 50 gold. That's worst case scenario. Best case, you get 12 wins and get a ridiculous amount of gold, dust, and cards. If you are/become skilled it's the best for new or experienced players who are f2p.